Harvard ID-holders now have access to another online primary source archive: Krasnyi arkhiv digital archive. 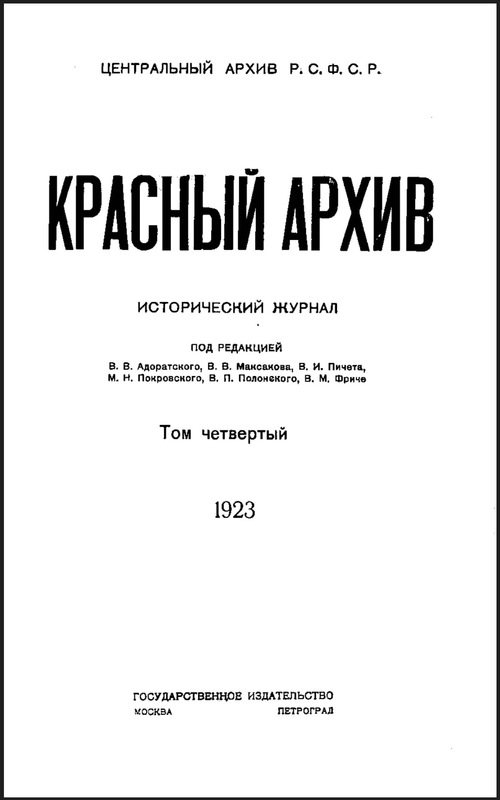 Krasnyi arkhiv was a scholarly historical journal published in Moscow in 1922-1941 by the Central Archive and later by the Central Archival Administration of the USSR and Russian Federation. Krasnyi arkhiv published important archival materials on the history of Tsarist Russia and the early years of the Soviet Union. 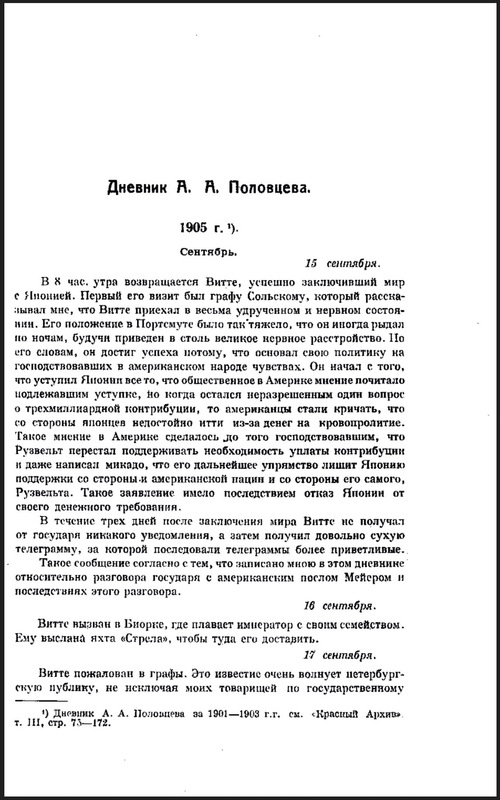 The journal published archival documents related to the Soviet history as well as pre-Revolutionary period, members of the royal family and top officials of the Tsarist Russia, World War I, the Revolution and civil war, the Bolshevik / Communist party and its dignitaries, Russian politics in Siberia, Central Asia and Kazakhstan, etc. In addition to that, it published archival documents and literary materials on prominent Russian classical authors and literary critics (e. g. Alexander Pushkin, Fyodor Dostoyevsky, Leo Tolstoy and others. The present database, Krasnyi Arkhiv. Digital Archive contains the entire collection (106 volumes, 1,010 articles, more than 23,000 pages), completely digitized with full-image browsing and full-text article-level search and browse functions.